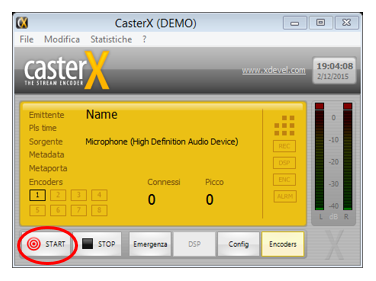 From the bottom right side of the Caster X click on "Encoders". 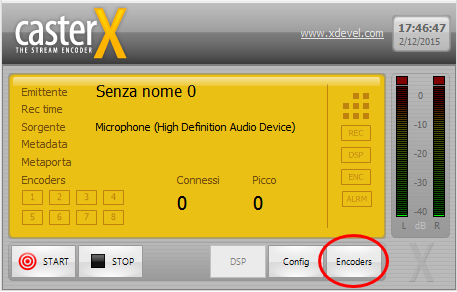 In window that will open, click on "Nouvo Encoder" and select your streaming type (Shoutcast/IceCast). 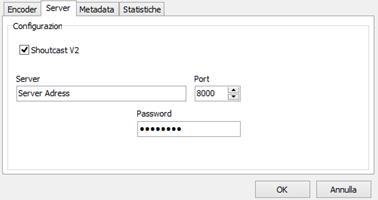 Now click on the "Server" tab and enter your server address, port number, and streaming password. The details for this section are available in your Primcast setup email, and in your Dashboard when you login to our website. Head on to the MetaData tab, and complete the station information such as station name, genera, and your website address. This information is not mandatory, but is it recommended for better exposure. Now that we have completed all the required fields we can start streaming. 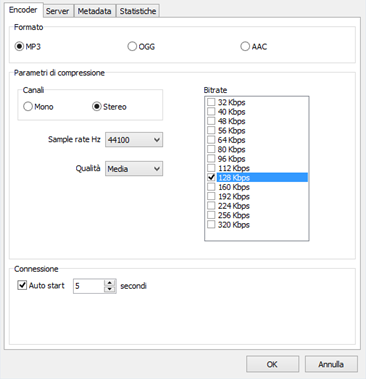 To do so, all we must do is to click "Start" in the encoders window, and click "Start" again in the main window.